Sen. Elizabeth Warren (D-Mass.) said if senior administration officials don’t think President Donald Trump can do his job, they should invoke the 25th Amendment to remove him from office. Warren, who the president has called “Pocahontas” because she had claimed a Native American heritage, made her comments after the explosive op-ed from an anonymous administration official in the New York Times on Wednesday. In the op-ed, the administration official pointed out there were some conversations about invoking the 25th Amendment to remove the president from office. “Given the instability many witnessed, there were early whispers within the Cabinet of invoking the 25th Amendment, which would start a complex process for removing the president. But no one wanted to precipitate a constitutional crisis. So we will do what we can to steer the administration in the right direction until — one way or another — it’s over,” the administration official wrote. 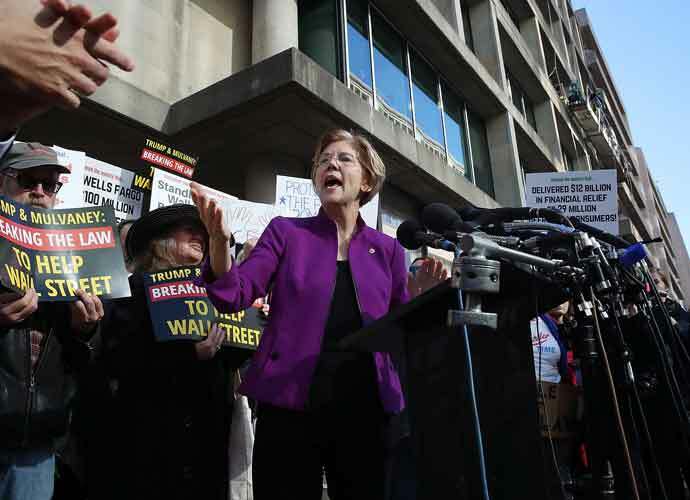 Warren denied such a move cause a constitutional crisis and argued that the op-ed presented a clear need for change in the oval office.